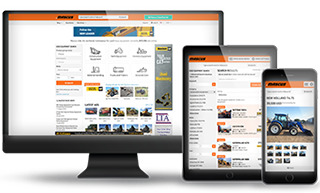 Mascus South Africa, worldwide marketplace for heavy used equipment. Currently 437 375 used trucks, tractors and machines on-line. In a year characterized by cost pressures and commodity price decreases, 2015 was remembered by many in South Africa’s struggling mining industry as a year of technology adoption. Mines were forced to find new ways to secure revenue and one such means of generating much needed income was the online mining auction sector, which experienced its highest growth ever during 2015.